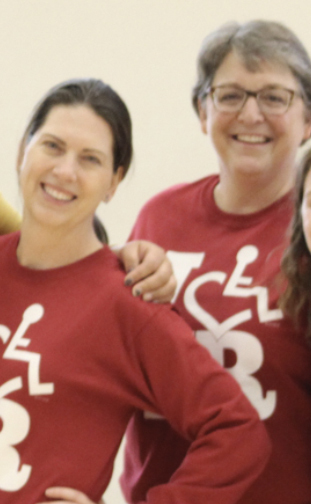 A new book by Illinois State University’s Sherri Hildebrand and Rachel Smith is redefining the approach to therapeutic recreation. 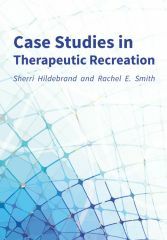 Smith and Hildebrand’s new book Case Studies in Therapeutic Recreation not only explores a multitude of diagnoses, but also in a variety of settings. “We present a case that you are the therapist. Here is an individual. How can you best serve them?” said Hildebrand. Illinois State’s Therapeutic Recreation Program teaches toward the goal of national certification for students. That means staying on the cutting edge in the field. It also means that current practitioners can also benefit from the new book, noted Hildebrand. “This is a tool practitioners can also use to keep themselves up-to-date on the latest knowledge of evidence-based practice for specific clients,” she said. The book is also designed to be a companion to therapeutic recreation textbooks. Rather than including a set of instructions to follow, each case study ends with an open set of questions, prompting the reader to consider how to place the case within his or her knowledge base gained in other courses. Each case is broken down by diagnosis, and covers 40 possible scenarios, from a person living with Alzheimer’s dementia or blindness, to schizophrenia or traumatic brain injury. “We decided the best way to do this is to present a case, and then let the reader decide what the best intervention would be,” said Hildebrand. The next steps for Smith and Hildebrand will be to present the book at regional and national conferences. “We’re excited to share this teaching tool with students, practitioners, and faculty across the nation,” said Hildebrand.